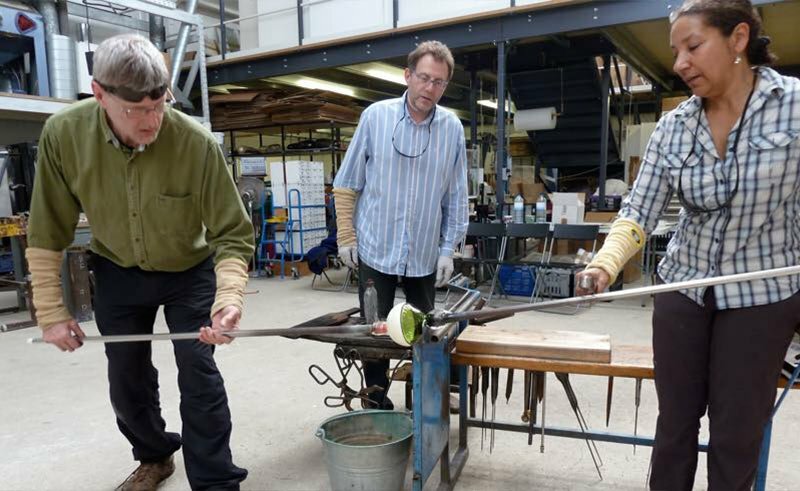 What happens if you’ve done an introductory glassblowing course and would like to develop your skills and learn to do more? 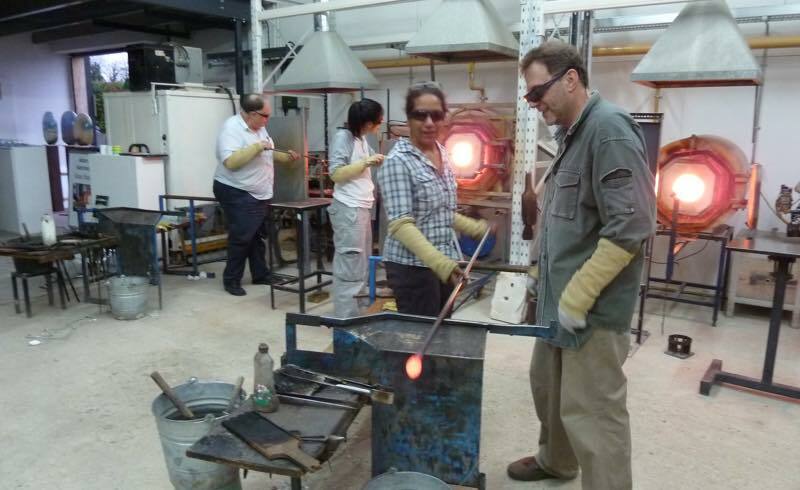 Adam is one of the few glass artists offering on-going tuition for students who have completed one or more of his half-day Introduction to Glassblowing courses, or who have taken classes elsewhere. You can purchase a block of six, or a block of 12 half-day sessions, at a special discounted rate as compared to a single half-day course. Each session within a block lasts half a day, and takes place on Saturday or Sunday, mornings or afternoons. There will be no more than four students taking part in each session and Adam, with the help of his assistant Nikki, will offer each person a high level of individual attention. In this way, Adam is able to adapt to cater to each student’s development, speed of learning, and special requirements. Intermediate Courses are not available for online purchase. If you are interested in on-going tuition send us a message, call 01483 375035 or email for further information. When a block of courses is purchased, you will receive either six or 12 booking codes. These will enable you to use the course booking calendar on our website to select the most convenient dates and times for your sessions. You can book your sessions one or two at a time, or all six or 12 at once, depending on your preference.